Show time @ Dueholm Breeding! NEW pictures incredible member of the O'Kalibra family! Top 15 GTPI R&W Heifer in the U.S! Top ranking Red Carrier heifer! 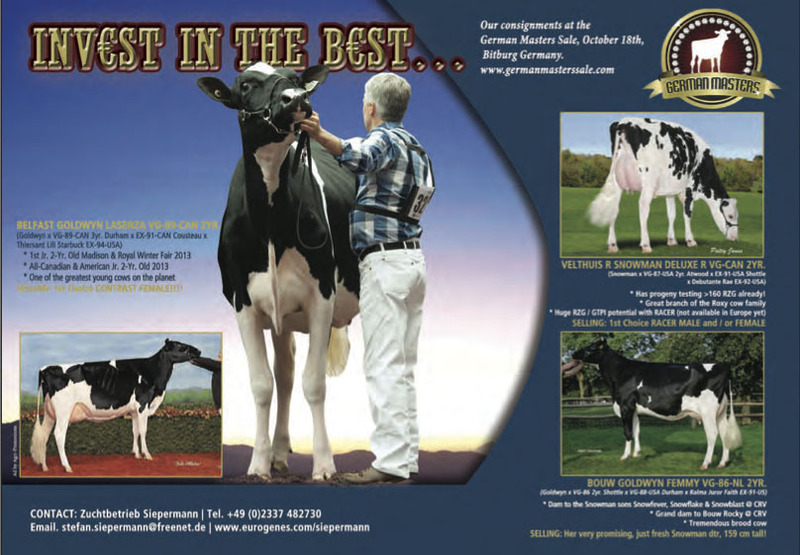 Wilcor Goldwin O'Kadabra VG-89-NL EX-92-MS 4yr. #1 PTAT dtr of Galys-Vray! Homozygote heifer from the Golden-Oaks Perk Rae-Red EX-90-USA cow family! Gen-I-Beq Mr Burns Splendy-Red VG-87-CAN 2yr.